Thunderbird fans are invited to flock to the Centrum Arena this weekend to cheer on the men and women’s basketball teams as both begin the regular season at home. 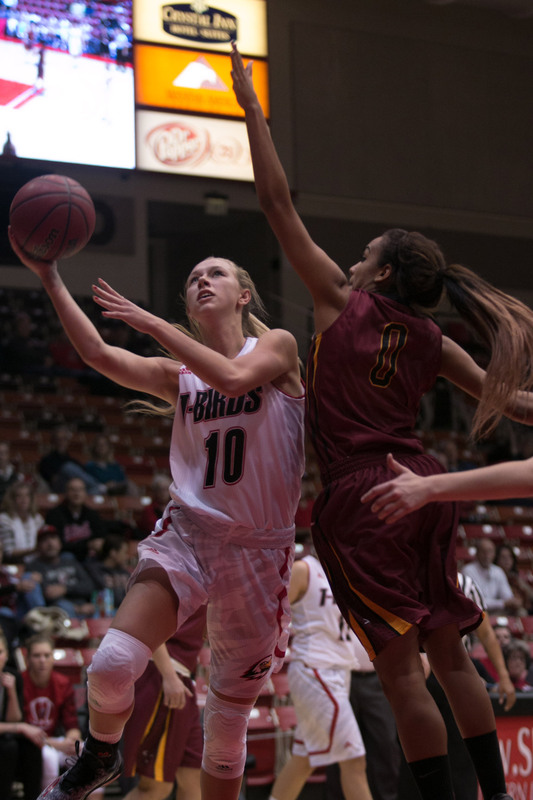 The ladies kickoff the weekend Friday, November 21 game against Boise State University at 7 p.m. and the men will play Utah Valley University at 7 p.m. Saturday, November 22, both hoping to begin the season with a win. But earning a win goes beyond which team practices the most or the team with the better shooting average, a supportive crowd can sway a win or a lose, this weekend for the men and women’s basketball games will be no exception. Jackson, along with all other T-Bird athletes knows that supportive fans help gain those wins and trophies. Friday’s women’s basketball game will include the unveiling of the team’s Big Sky Conference Championship banner that will hang in the Centrum. Basketball season tickets are available at the Centrum Box Office or online at tbirdtickets.com. Students can attend for free with their student ID.